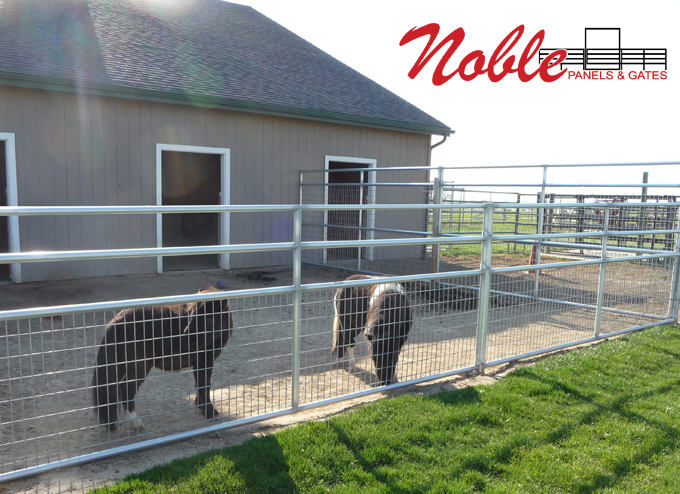 The Small Animal Ultra-Mesh products finish at 54” high and is framed with 1 5/8” 15 gauge galvanized steel tubing. A heavy 2” x 4” galvanized wire mesh (4 gauge) is welded to the bottom 30” of the panels and gates. The top rails have an 8 ½” spacing. Bottom rail is 1 ½” from the ground. 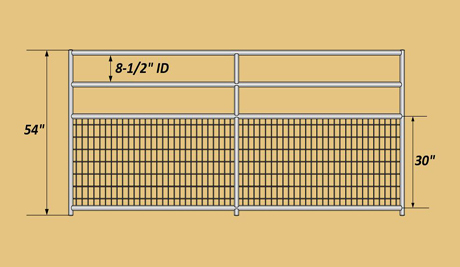 Panels are available in 4, 6, 8, 10, 12, 14 and 16' lengths (more specific sizes can be customized to your needs up to 16'. Small Animal Ultra-Mesh Swing Gates and Panel/Gate Combos are also available.